A friend told me that she and her husband had both lost a significant amount of weight by taking Garcinia Cambogia. 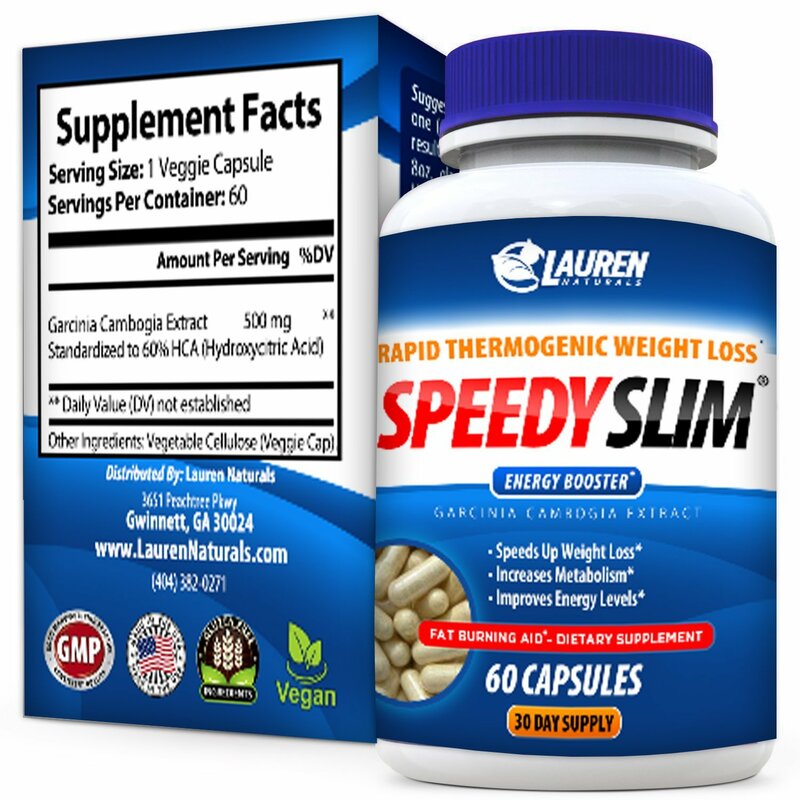 Since this is the main ingredient in Speedy Slim 30 day Fast Weight Loss Veggie Pill Supplement - 30 Capsules from Laurn Naturals, I was anxious to give it a try. I can't say that I have lost nearly as much weight as I would have liked, but then I have only taken it for a short time. I have lost a few pounds, even though I have a ways to go. The capsules are easy to swallow, and they seem to give me added energy and as well as helping to suppress my appetite. 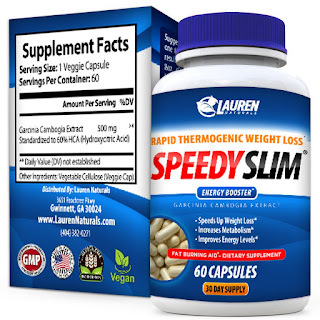 This product is made in the USA, and is a highly concentrated daily dose that seems to be helping with my weight loss efforts, so I would definitely recommend it to others. I will update if my views on this product change after using this it longer, but so far this seems to be helping with my weight loss efforts.